Night of the Comet is finally available on Blu-ray! Right now! I've mentioned before how much I love Night of the Comet and I've even lamented how I'd actually love to see a big budget remake of the film (I've talked about how it would benefit from a remake given its high concept premise). It is a film that has, for the most part, stood the test of time on its own nostalgic merits. While it may not be the greatest Sci-Fi/Horror apocalyptic epic of all time...it certainly is a cult classic amongst the many fans who continue to love the film. I once got a chance to chat briefly with Catherine Mary Stewart and Kelli Maroney while they were taking a break from signing autographs at a horror con (they were both kind enough to indulge my little geek moment) and they turned out to be super awesomely humble people just having fun with the fans. I asked them if they thought the film still stood up to today's more modern takes on the whole "end of the world" premise. 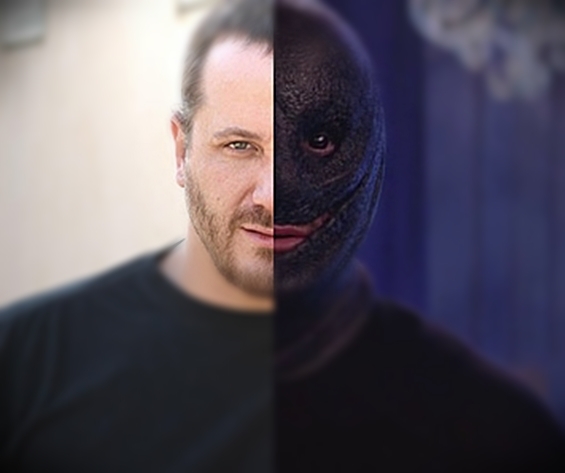 And Stewart told me that she thought Night of the Comet to be a socially relevant film consistent with all the other big blockbuster movies sharing the same elements. I've always found the film to be an original take on the zombie apocalypse them using the comet as the scientific catalyst for the zombie "plague". 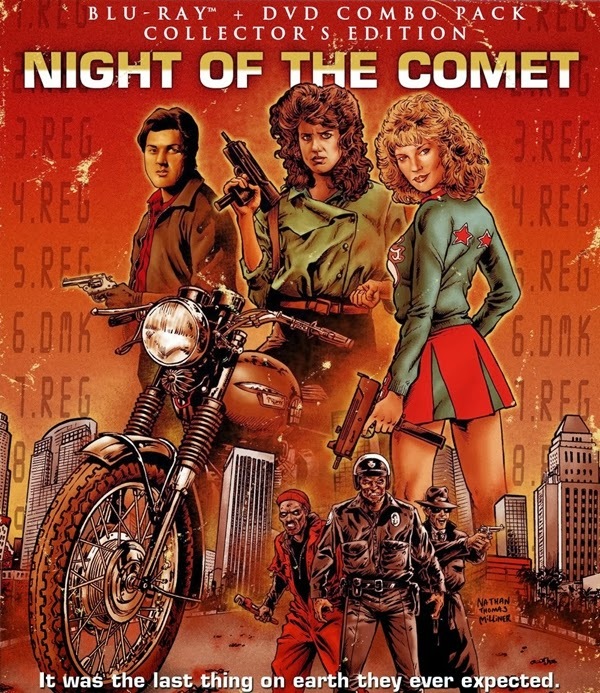 While other more contemporary films have followed suit with similar Sci-Fi elements (most recently, stuff like Vanishing on 7th Street and The Darkest Hour...both sub par films compared to NotC)...nothing is quite like Night of the Comet, director Thom Eberhardt's best work to date. Unless, of course, you are a huge Captain Ron fan. I've always thought that the film was perfect for 80's. A blending of Dawn of the Dead, with elements from teenage coming of age films of that time...all with a heaping serving of quirky 80's comedy. Night of the Comet really is a great film! A great film that really deserved a great home video release and Scream Factory went through all the trouble to give us an awesome Collector's Edition available on both Blu-ray and DVD! The release is packed with some really cool extras, including all new interviews with both Stewart and Maroney, as well as a fun interview with actor Robert Beltran (Hector) and a really cool behind-the-scenes featurette with make-up artist David B. Miller. I'm actually shocked that Scream Factory was able to locate as much as they did, considering how this is probably the kind of film where tracking down archived footage laying around in some old studio's vault might be tougher than finding the Ark of the Covenant. Though, being a Night of the Comet fan from the very first time my young eyes found it on cable back in the mid 80's, I'm certainly happy that it is now available as a Collector's Edition on Blu-ray. Thank you Scream Factory! You can purchase your copy of the Scream Factory Collector's Edition right HERE! And for those Deviants who haven't heard of this film (shame on you)...it's not too late...check it out below and witness what you've been missing all your life.